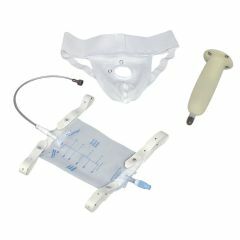 AllegroMedical.com presents The DMI McGuire-Style Male Urinal Replacement Bag. This is the official replacement leg bag for the DMI McGuire-style male urinal #541-7752-0000 (see our other listing). Use to replace an older bag or as an extra to have handy when you are washing your other one.